The Ball Complete Book of Home Preserving is packed with over 400 delicious and creative recipes for todays busy kitchen. 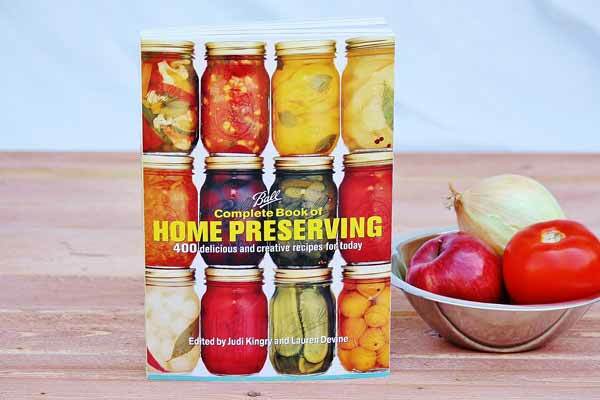 This preserving book features user-friendly recipes that will appeal to both beginners and the experienced canner, as well as a problem solving section, produce purchase guide, and an extensive glossary that identifies everything from ingredients to equipment and instructions. Home canning puts the pleasure of eating natural, delicious produce at your fingertips year-round. 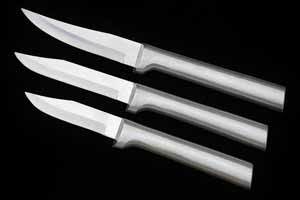 Preserving food is as modern and practical as the latest food trend, and it is really quite simple! Easy-to-understand detailed instructions provide all the information you need before you begin a project. Enjoy the rewards of numerous homemade meals and snacks, created from just one preserving session. Includes recipes for Soft Spreads, Fruits, Salsa, Relish, Chutney, Condiments, Pickles and Tomatoes. Make Refrigerator Pickles fun and easy with tips like using a mandoline to cut the thinnest slices possible. Learn how to make the best Red Pepper and Garlic Jelly by crushing the garlic ahead of time and only using small cloves. You'll have to buy the book to discover more!